Fayetteville, Ark. — The Oklahoma/Arkansas chapter of the American Concrete Pavement Association pledged $500,000 to the Department of Civil Engineering in the College of Engineering at the University of Arkansas. The organization’s gift supports Campaign Arkansas, the university’s $1.25 billion capital campaign to advance academic opportunity. The Oklahoma/Arkansas Chapter, American Concrete Pavement Association Fund will provide financial support for concrete pavement initiatives, research and related activities in the Department of Civil Engineering. 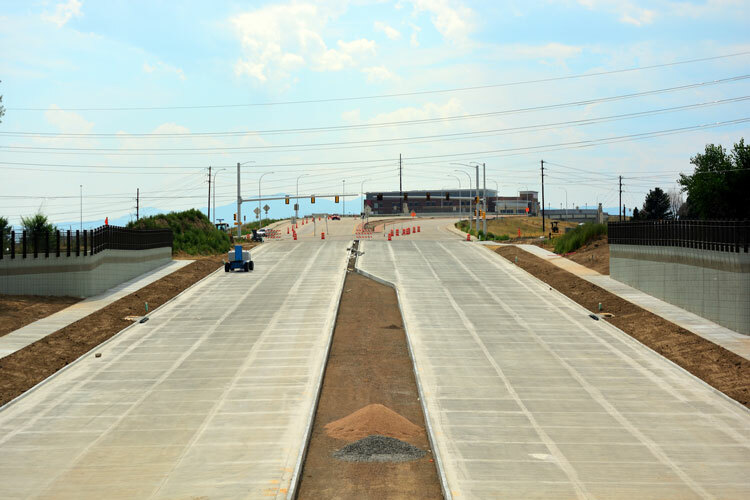 “Most people do not think there is much science to a concrete pavement, but in reality, this area of civil engineering is becoming more advanced and more complex,” Murray said. “With this gift, we can help the state of Arkansas stay at the forefront of high quality, long-lasting concrete pavement construction. “Over the past 20 years, there has been high-quality concrete materials research performed at the University of Arkansas,” he added. “Thanks to this work, the U of A has developed a reputation in the regional concrete industry as a leader in this area. These efforts have led to this tremendous gift from the ACPA to support concrete initiatives. The Oklahoma/Arkansas Chapter of the ACPA is a non-profit organization representing the concrete paving industry in Oklahoma and Arkansas. The chapter is recognized by highway officials, engineers, contractors and paving experts as the state voice for the concrete paving industry. The organization’s membership includes contractors, materials suppliers, equipment manufacturers and other firms providing essential services to the concrete paving industry.